For quite some time, whenever I’d go out to eat in Paris with a visiting friend, their gaze would invariably land on something Italian on the menu. And they’d want to order something like risotto or salad Caprese, which I’d warn them away from. Or pizza, which might come to the table with some unexpected topping, like canned corn or pineapple. 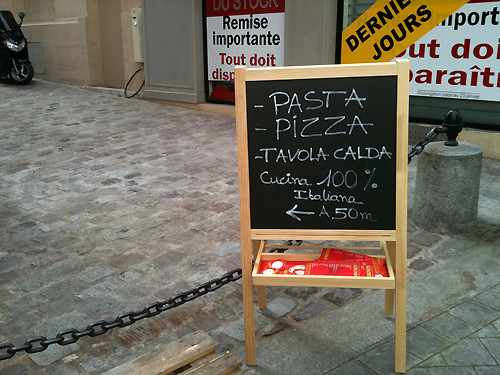 When I moved to Paris, I thought it odd that Italian food wasn’t as well- represented here as I assumed it would be. After all, France shares a border with Italy. But on the other hand, look at how Canadian food is represented in the United States. So I guess that explains that. But it made me realize that in the past five years, Italian food has really come into its own in Paris, and last week, a place that makes their own pasta was turning people (including us) away in droves when we tried to get a couple of seats. When I decided to hit Grom on Sunday, the line trailed out the door and onto the street. I immediately knew I would like Al Taglio as soon as I walked in because I like sitting at high counters. Although there are tables overlooking the small square outdoors, there’s something about sitting on a high stool at a communal table that’s always been my very favorite way to eat. It’s just so convivial. When friends came in to eat in restaurants where I worked, I just pulled up a stool next to where I was working so I could talk to them when they had dinner and I love cooking while talking to people, as long as they’re seated and at a distance. And pouring me wine. All the pizzas are sold by the kilo, and prices vary depending on the topping. All three I tried were great, with nice, crunchy crust, and flavorful topping. It made a perfect early afternoon lunch along with a very full glass of Anghelia (€3.8), which brought the total of my meal to just over €13. It also made me a wee-bit tipsy. One thing that’s a bit curious is the counter service, which some might consider authentically Italian: one woman was busy taking the orders, cutting the pizza, and weighing the squares, while the fellow next to her watched, then brought out the pizza to the customers. The kitchen was a bit more active: just a few feet away, two guys were working on the next batch of pizzas, scattering them with cubes of mozzarella and bits of speck and other toppings, before sliding them into the oven. But I’ve learned not to be in a hurry when it comes to food, both in France and Italy, and to relax. And I’ve let go of all that racing to get through a meal or expecting service with a snap. When you do, you have a much better time. Indeed, everyone here was smiling and friendly, including her. I’d imagine Al Taglio gets packed at prime time. But since they’re open continuously throughout the afternoon, my advice is to go for a late lunch. So along with places to get good gelato in Paris, I can confidently add Italian pizza to that list. 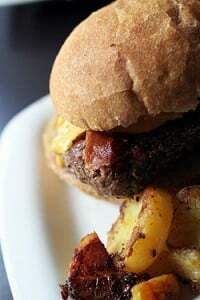 Open daily, Noon-11pm, no reservations. Oooh, the idea of weighing pizza to order seems like such a novelty to me. But I’d take this over Domino’s any day (*shudder*). Plus, one might not go to Paris for pizza, but one does go to Paris to eat good food, and if the shoe fits…. weighing pizza to order also seems odd to me, but thinking about it I finally see that this is pretty clever : i’ve always wanted to enjoy several toppings on my pizzas so whenever possible I ask for a pizza “half this plus a quarter of that, please build up a price accordingly”. The squared slices system does exactly what I want without bothering the kitchen crew ! I was just jotting down the name of this place so we can check it out this week. Looks great! These are great looking pizzas. Eggplant on a pizza, that is novel but probably good. I find the simpler the pizza the better. I discovered pizza sold by weight at a wonderful bakery near our hotel in the Trastevere neighborhood in Rome. Eating at the counter there, along with the locals, was more fun than anywhere else we ate, and we did it often. Jane and Krysalia: It’s something they do because the pieces aren’t equal in size. Plus the price varies of each pizza, depending on the toppings. (At Al Taglio, they range from €14/kg to €36/kg.) But it is nice because you can try whichever ones you want, and mix them up…as I did! This is right in my neighborhood! The pizza is excellent, definitely worth the trip to the 11th if you don’t live in the area. Yeah, the “chic” label is kind of funny, but I suppose if you’re used to seeing hot dogs sitting in the middle of your pizza it makes sense. so who gets the corners? can I get only corners, please? are the corners more expensive? There are heaps of Italians, especially Sicilians, in Australia, many of them in Melbourne but there’s also a significant population in Sydney, where I am. The suburb I grew up in had a large Italian population (the local greengrocers were all Italian too). Pasta and pizza are everyday staples here, so when I was in Paris recently for an extended amount of time, I had a really hard time without it! My French friends would eat pasta with butter and salt, sometimes emmental, something I found amazing, since here it’s sauce and parmesan or nothing. I also ordered pizza one night with some friends, and it had emmental on it. I was at first repulsed but after a few bites I started to like it. It had a subtler, sweeter taste, nothing like the deliciously salty stuff I get here, but not bad. I ate so much of it, I didn’t have room to try the one with camembert on it. Disappointing. I did stumble across a chain called Nooi, which sold cheap pasta lunches for teenagers. I tried it a couple of times, and yes, there was a choice of parmesan or emmental. And croutons? Go figure. It was Franco-Italian, but it wasn’t half bad. This reminds me of a great place in Florence that we found. It was a tiny place with maybe 20 or 30 different big rectangular pizzas that they cut into squares and they were all so good. I will definitely try this place next time we’re in Paris. I have absolutely no qualms about eating great pizza anywhere in the world! (Giggling slightly) But of course pizza has sweetcorn on it! Absolute staple, it practically isn’t pizza without… and my parents often order a ham and pineapple pizza on purpose! I actually like the pizza you get in France, lovely thin crust and not heaped with all different kinds of toppings as the American-style pizza we get here is (mind you, vegetarian – and yes, of course that includes sweetcorn – with extra pepperoni works well). I laughed reading this. I am Italian living in the Bay Area and don’t go eat at Italian restaurants any more because I never had a good experience unfortunately. The first time I was in France I was young and stupidly ordered a pasta carbonara, which was almost inedible from the heavy creamy sauce. I am sure things have improved since then. One time I read an article on Sunset magazine that described the perfect “French” pizza, thin crusted with little topping, and nothing fancy on it. I almost chocked and wrote a response to it, but then I forgot about it. Since when a perfect pizza comes from France? I guess the writer thought that the horrible “pizze” he had in the States truly represented how Italians cook them. There is a constant was between the French and the Italians on who invented what, it is pretty funny actually. rue Neuve Popincourt? I lived there for a year in the mid-1990s, when the neighborhood, especially a little more towards Bastille district, was just starting to get trendy. It would have been wonderful to have a good restaurant on the block; I think there was a rather unfriendly-looking cafe-tabac in that space in those days. Canadian food…that’s a poser – or perhaps I should say hoser! What would you consider “Canadian” food? I live in Toronto and have access to all types of food here, but how to characterise the Canadian type baffled me a little. Would it be bannock and ptarmigan? Maple syrup and crepes (the French Canadian kind naturally!)? On other topics…those Sardi make what looks like EXCELLENT pizza. Ciao from the great white north. Hotdogs, corn, pineapple on pizza? In Mexico, it might be 1000 Island dressing, or piled with ice burg lettuce, and accompanied by Worcestershire sauce or ketchup, all of which have been served with pizzas we ordered. Lost in translation takes on a whole different meaning when eating ethnic food out of its country of origin. But it keeps things interesting. I’m not sure how often you’re in California, but the next time you’re here, try Full of Life Flatbread pizza at their restaurant in Los Alamos. Just north of Santa Barbara, it is a destination restaurant that is worth every mile. Most of their ingredients originate from within 300 miles of the restaurant and include healthy flatbreads like stone oven red charred onions, fresh garlic, pistachios, flax seed, rosemary and raw Serena cheese to richer flatbreads like spring garlic w/ asparagus,potatoes,leeks and a farm egg. Their salads and desserts are also insane. It’s in wine country so you can definitely make a weekend out of it! I stopped there for a ‘snack’ before heading to dinner at another restaurant and quickly canceled my reservation. Looking forward to our trip next month. Bringing along a 10 year old foodie with the palate extrordinaire. Hope to have a pizza while there. Thank you, as always, for the great information. Pray tell what is Canadian food? I definitely agree with your comment about never messing with the people who serve your food! I always get scared to send anything back…but I also am a very nice person in general as I think everyone should be treated with respect. We are all equal and here for a reason! David-we have been enjoying your posts for some time and have kept many of them individually. BTW, your new book is great! Now why would I opt for Italian, except sans a reservation on a Friday night in Paris (staying in the Latin Quarter) a friend and I walked to the Café Voltaire on the river. It was ferme! On a Friday night! Couldn’t believe this old, old establishment was closed. Wandered back toward Boul Saint Germain, stopping in at other places that looked appealing, lots of vacant tables (too early at 8 PM?) and were turned away—one place after another. Mais non! Until, at a somewhat modern-looking Italian place on rue du Bac (about a block down from Gaya and Atelier du Joel Rubochon) was a host with welcoming open arms. And it turned out to be a very pleasant meal. The pasta, the salad, the red wine… I’d definitely go back. Qu’elle surprise! Who knew! Walking from the Vatican once many years ago, we saw a little take-out place with a counter full of long thin flatbreads, manned by incredibly handsome guys in white chef jackets, and stopped to check them out. We pointed at a couple of items that looked great and gestured the length of the slices we’d like and they were cut and weighed and then folded and half-wrapped in butcher paper so we could eat them as we continued our walk. We only got about a block, and stopped. We were so blown-away by how delicious it was, we decided to go back for seconds. That pizza was very thin Roman-style, almost but not quite a cracker crust. One of the choices was eggplant, sliced paper thin and grilled to velvety perfection. Raminds me of my last time in Italy. Delicious. I found the same thing in London last week. I am from Edmonton Alberta – prairies – and when we were in the UK – there was pizza everywhere – everywhere … and we didn’t go to London to eat Pizza. But, after a couple of days of eating, believe me, we were tempted. We stuck to the “old” local fare, though. 3. What or where is the best foodie specialty store/stores… especially for sweet tidbits like violette pearls, etc. 4. We have been to The Fat Duck and St. John’s and The French Laundry. Where should be go in Paris for a similar (yet completely different) dining experience? 5. I see there are a zillion foodie tours online advertized – some only for the outrageously rich. Would you recommend one? If so, which? My husband is not a foodie. He is an incredibly great sport. He is also my favourite kitchen sous chef, bless his heart. He is a jock and loves everything to do with sports; however, we do tend to love foodie tours and city walking tours about the history, the culture, and the food. This is my first time in the city with him. I have always before been there with packs of my students. Many many students. May Many times. So, I have read you for years… right into my mail box. Talked to you now and then, and here are my questions. I understand if you do not answer. I understand if you get frustrated – BUT, should you ever want to visit Edmonton, I’d be there for you. I’ve eaten both the best and worst pizze ever I think–both in Rome. The one bought by the slice with the extra strong and smelly tuna topping we returned to the trash can that was fortellingly located directly outside the shop door, so that potential customers could have a clue as to what to avoid. 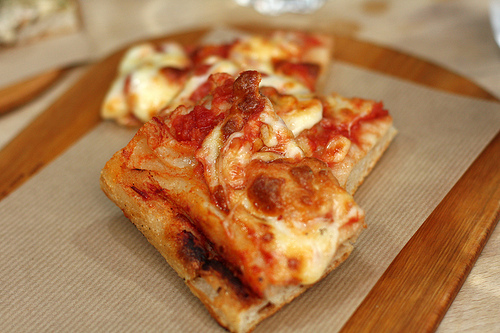 The best was from a little place not too far from the Vatican–thin, crispy, charred cheesy heaven. Thanks David for lots of great info, great recipes and plenty of smiles by way of your blog that I have been reading for the last 18 months…..we had a great time in Paris and Dordogne area of France last fall and can’t wait to get back. In all fairness I do have to wave the old Maple Leaf standard as to Canadian food for the previous doubters. As an American who lived in Canada for 14 years and now misses all the foods that are part of that culture I can vouch for the existance of “Canadian” foods….how about butter tarts, nanaimo bars, tourtiere, sugar pie, perch rolls, fiddleheads, raisin pie, sausage rolls, poutine (real french fries with melted cheese curds and covered in brown gravy), french fries (chips) from fresh potatoes, fried at in the chip wagon and served up in a brown paper bag with salt and all the vinegar you can handle, pickled wild garlic, ragout de boulettes, Tim Horton’s donuts, MacIntosh toffee, Fannie Farmer French Mint chocolate bars and last but not least Cherry Blossoms candy. And I only lived in Ontario and western Quebec! My Canadian hubby and children could probably make a larger list of all the foods they miss because you’d never see them in a store or on a menu here. I have noticed that the only really decent whole grain bread that I can buy from my supermarket bakery is made in Canada, so lets hear it for free trade. Maybe there is hope yet….. I don’t get to visit as much as I’d like, but I could see eating the occasional pizza if I lived in Paris full time. In our house we sometimes have “make your own pizza night”, which is a great way to get everyone in the kitchen, and to avoid any weird toppings (corn, pineapple, etc.) on your pie. Our pizzas are pretty non-traditional. My all–time favorite has a roasted red pepper sauce and is topped with sautéed crawfish tails, red onions, and garlic. I loved the pizza’s in Rome!! They were just so fresh and tasty with the lightest thin crusts, mmm. My daughter thought that she had died and gone to heaven when she discovered that they make Nutella pizza! Then, when we got to Paris and she found Nutella crepes …!!! David, you are better than any “insider’s” guidebook. Especially since you seem to live/roam around our area. That pizza place is up the street from our favorite little Oberkampf shopping district where we love the cheese store, two boucheries, Italian grocery store and drycleaner. Yes, we love the drycleaner! Even though they don’t allow dogs. It’s called We Clean–makes me chuckle every time. And they gave us a store card so we can pretend we’re locals! And the “bazaar.” What would you call it in the states? My husband says I’m not allowed to say junk store, but it’s kinda like a mini Woolworth’s, if I may be so old… They’ve had almost every odd item we’ve decided we needed, from cheap towels to dry off wet dogs to ice cube trays to chic, cheap kitchen clock. Now we can add neighborhood pizza place to our list. Merci! Mmm to the squares of pizza. Not so keen on stools at a counter – at 5’3″ with short legs it is a struggle to get up and kinda scary to get down again, neither achieved gracefully! Keep on eating and cooking and posting, its all so great to read. I am Italian and I try not to eat Italian food when I travel….just because I love trying all the many wonderful International cuisines. 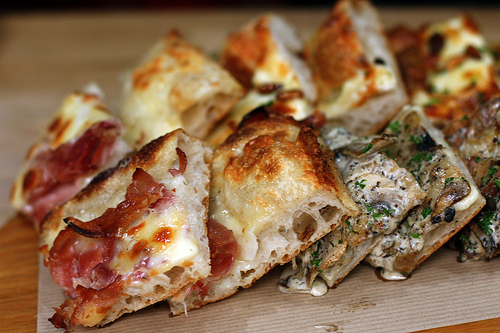 However I’ll be in Paris mid May and I’ll love to try pizza Al Taglio. I just love the pizza by the weigh in general. It’s so Italian! Vidya: At a famous place in Nice, they make their pistou (French version of pesto) by adding a bit of Emmenthal. Cyndy: Those are called “Paris Pas Cher” stores…I talked about them in my Paris book. But the words translate to “Paris not expensive”, which you discovered. suzanne: There’s a place in Rome way out in the middle of nowhere called Pizzarium, which had the most amazing pizza. I think I wrote about it on the site, in one of my Rome posts. I will definitely go back when I go to Rome in June…for sure! Corn and pineapple are so common on pizzas in Korea. Pizzas by all the big-name delivery brands here are nothing like the Italian pies. A ring of sweet potato mousse around the pie is a very popular thing. Thanks for the tip. It was absolutely delicious. Just wish it were closer to where I live! Good article David. Small typo though. It’s “Amatriciana”. For people who don’t know what the hell that means, it’s the name of a Roman pasta that uses tomatoes, caramelized onions, and chunks of yummy bacon (not the American kind sold in thin slices) with Bocatini (kind of like spaghetti but hollow in the center). 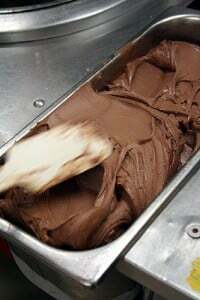 I like Grom but if I had to choose between a franchise and your homemade ice cream, David, it would be yours everyday. David – your blog entries are like my iPhone: so addictive and so pretty!! Everyday I nervously check to see if you’ve updated, and when you don’t *gasp* (who takes a day off these days??) I swear I enter into massive DTs. Cold sweats and all. There is something to be said for your story-telling skills, which delightfully wrap me into your world, make me laugh out loud at work like a giddie child, and then remind me at the end that this was all about food – my favorite subject. Combine this with AMAZING documentary photos, and ha-zah, I feel like I’ve just experienced something awesome with one of my best buds. So thank you. Now about today’s post: it’s not the first time you mention it, but now it’s starting to sink in… TAKE TIME TO ENJOY FOOD! It’s an impossible concept for the Fast Food Nation of North America: case in point, AYES, which goes against the whole philosophy of the art of making sushi. Naturally, being a product of this environment, I don’t eat – I inhale. And I don’t own a chair – I eat standing at my kitchen bar or while walking. Never mind just taking off the top of the baguette! The whole thing will be done by the time I arrive to destination! So whenever I go abroad, it always strikes me at how long service takes, or at how slowly people eat/ expect dinner to take. It always irks me at first because I feel I am not being productive and I can barely sit still (j’ai la “bougeotte”) at the thought of “wasting” so much time. Invariably though, something magical happens after a few days of distance from North America, and I realize just how nice it really is to take one’s time enjoying a meal and others’ company. A bit like food prep – there’s just something zen about taking in that foodie moment. Brilliant. Thanks again for another epiphanous post – you made my day. Again. I took a picture of the chalkboard menu, but it wasn’t on there. Hey now, I like corn on my pizza. But, living in Iowa, canned corn would be a bit blasphemous. Who doesn’t love pizza? 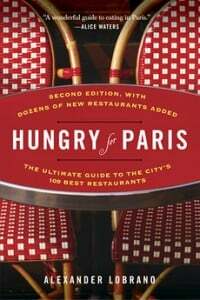 I can’t wait to travel to Paris and dine at Al Taglio. When I lived in Paris …89 to 96, the Italian food wasn’t very good. All pizzas were served with chilli oil, none of the pasta was al dente. In fact a favourite French dinner is fried spaghetti with a bland tomato passata with sugar added. Ugh. It is odd isn’t it, that the French, such brilliant cooks, don’t understand Italian peasant cookery. But you say they have improved….so good! Can’t wait to check it out … Sounds delicious! Congrats on your new book, It’s a definite must-have! Yummy… I’ll have to check out that place! but I loved the trip with you through this market today. Canadian Foodies: I’m not sure what is the quintessential market as each one is very different depending on the personality and neighborhood. I would say the most interesting market is the Marché d’Aligré in the 12th. It’s the oldest market in Paris and is a mix of everything and many ethnicities as well. It’s quite authentic and daily, except Monday! do you have a recipe or link to a recipe for this style of pizza, with the thicker crust? i have a neapolitan style crust recipe but would definitely love to try something like this. The Pizzas look very nice. I know something as a Mediterranean habitant. If I order pizza in Italy they always get cut into square pieces. Nice!